It’s perfect for Fleets, Families and Individuals. 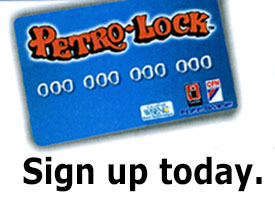 Apply for your CFN card through Petro Lock. You may download the Business application here, download the Personal application here, call our office to fax or email you a copy, or come in to see us and fill out the application in person at which time we can answer any other questions you may have about the CFN program. The result of your application will be determined within 3 business days. Once the application process is complete you are free to use your account in house while we will order the amount of CFN cards you have requested. One of our team members will notify you with a courtesy call when your cards are available for pick up. 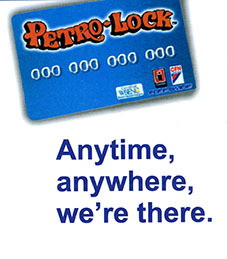 We prefer you to come in to pick up your cards for security purposes, although if you are out of the area, other arrangements can be made. As soon as you have your cards, you are able to use them at any one of the over 40,000 locations CFN is accepted, Click here to find a location. We also have CFN locator books and maps in our office for your convenience or download the CFN app on your smart phone. 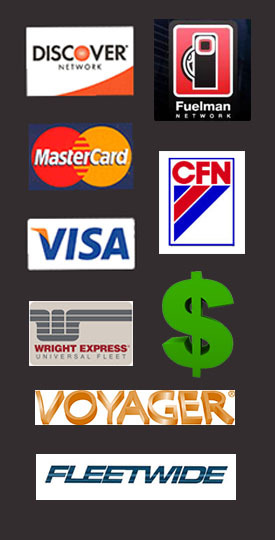 CFN purchases are due by the tenth of the following month. You will receive a statement with a breakdown of all of your purchases including time of purchase, date, location and odometer reading. If you are applying for a business account or for other services, access is granted once approval status is received and you may begin purchasing all products. Oil deliveries and/or wethose charges are due in full, 30 days from date of invoice. Full truck and trailer loads are due in full within ten days or load to load, whichever come first.